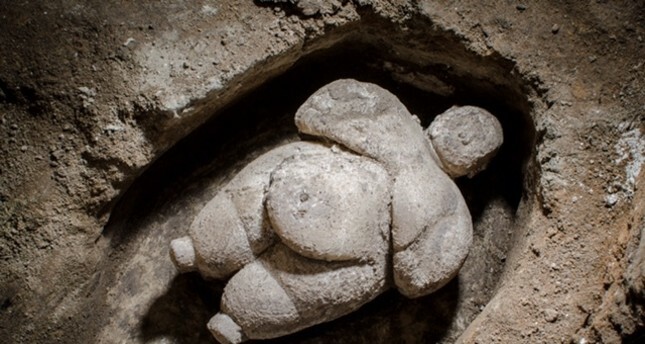 Archaeologists at Turkey's neolithic site of Çatalhöyük in central Anatolia have unearthed a "unique" complete female figurine, The Ministry of Culture and Tourism said on Tuesday. The statuette, measuring 17 centimeters (6.7 inches) long and weighing one kilogram (2.2 pounds), is considered unique due to its intact form and fine craftsmanship; it dates back to about 5500-8000 BC, a statement said. 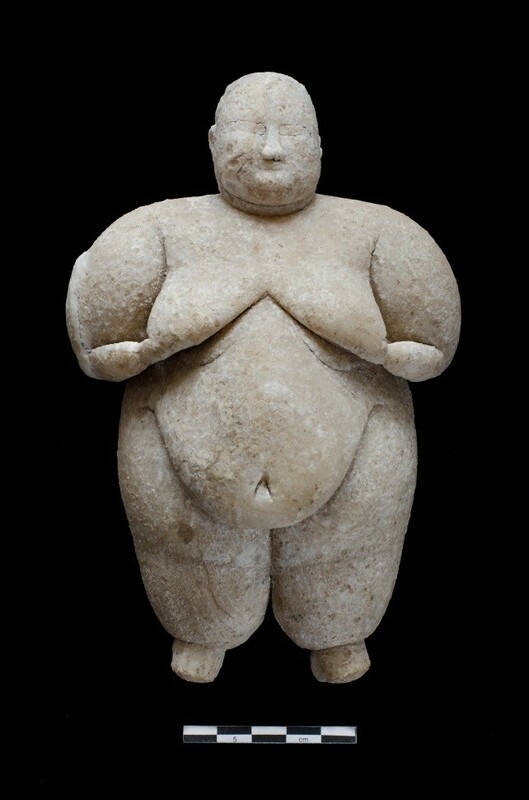 The figurine, which is made of marmoreal stone and considered to be part of a ritual, was discovered by the international team of archaeologists working on site led by Professor Ian Hodder, anthropologist at Stanford University in the U.S.
One of the world's first urban centers which dates back 9,000 years, Çatalhöyük is included in the 2012 UNESCO World Heritage List. "Çatalhöyük has been the subject of investigation for more than 50 years. Researchers from around the world have travelled to the site over the past half-century to study its vast landscape of buildings, remarkable ways of life, and its many exquisite works of art and craft. "Since 1993, the Catalhoyuk Research Project has recruited an international group of specialists to pioneer new archaeological, conservation and curatorial methods on and off site. Simultaneously, it aims to advance our understandings of human life in the past," according to the official website.